FC Dallas promotes responsible drinking and positive fan behavior at Toyota Stadium. The FC Dallas Fan Code of Conduct and details of the FC Dallas alcohol management plan that appear below ensure that fans have a safe and fun experience. Note: Streamers/confetti may be thrown in times of celebration of our team’s success. Streamers or confetti thrown at players, referees or any event staff or during corner kicks or throw-ins is considered prohibited behavior. Kicking or throwing inflated soccer balls or Frisbees. Toyota Stadium management reserves the right to deny entry of any guest displaying inappropriate behavior, as determined by facility/event management. 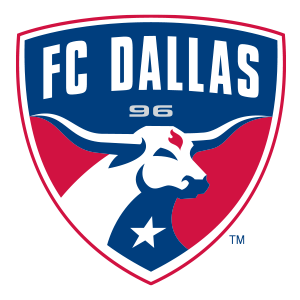 For event-specific policies, please contact Customer Service at 469-365-0000 or customerservice@FCDallas.com. FC Dallas takes on the Houston Dynamo this season in the Budweiser Good Sport Designated Driver Challenge, a friendly competition to determine which club’s supporters can register the most designated drivers. Designated drivers who make this pledge at FC Dallas home games receive a free soft drink and are entered into the Major League Soccer Responsibility Has Its Rewards Sweepstakes.